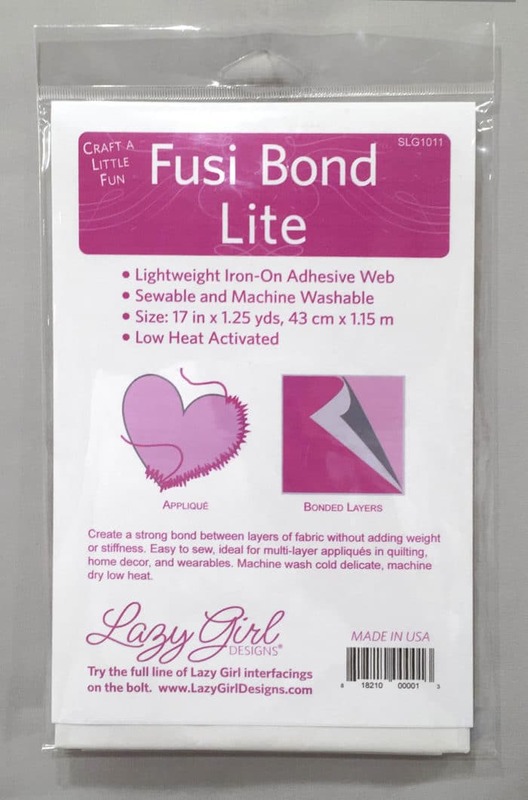 Create a strong bond between layers of fabric without adding weight or stiffness. 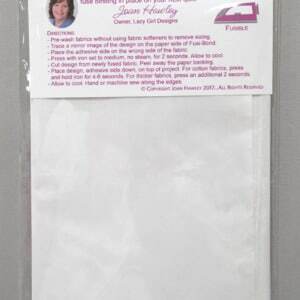 Easy to sew, ideal for multi-layer appliqués in quilting, home decor, and wearables. Machine wash cold delicate, machine dry low heat. – Pre-wash fabrics without using fabric softeners to remove sizing. 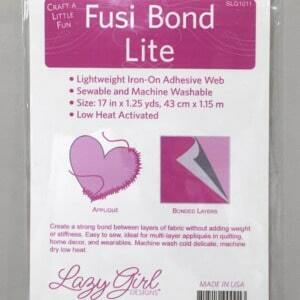 – Trace a mirror image of the design on the paper side of Fusi-Bond. – Place the adhesive side on the wrong side of the fabric. – Press with iron set to medium, no steam, for 2 seconds. Allow to cool. – Cut design from newly fused fabric. Peel away the paper backing. – Place design, adhesive side down, on top of project. 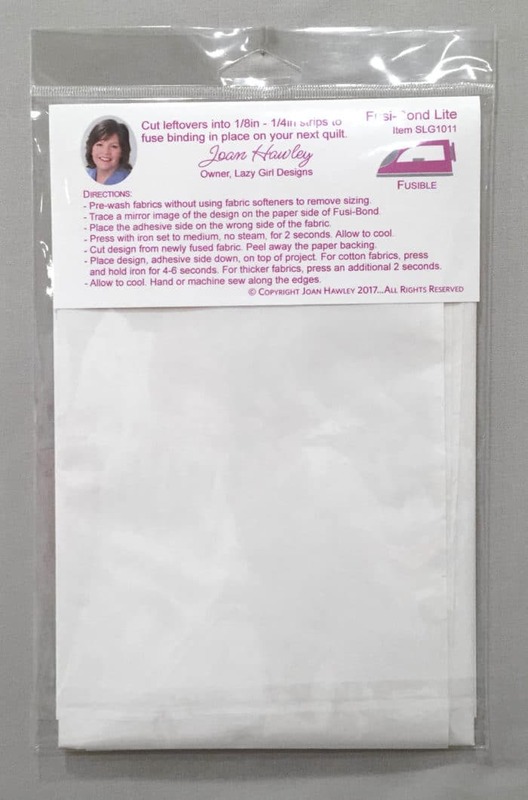 For cotton fabrics, press and hold iron for 4-6 seconds. For thicker fabrics, press an additional 2 seconds. – Allow to cool. Hand or machine sew along the edges.